Downtown Market, 435 Ionia St SW, Grand Rapids, Michigan. 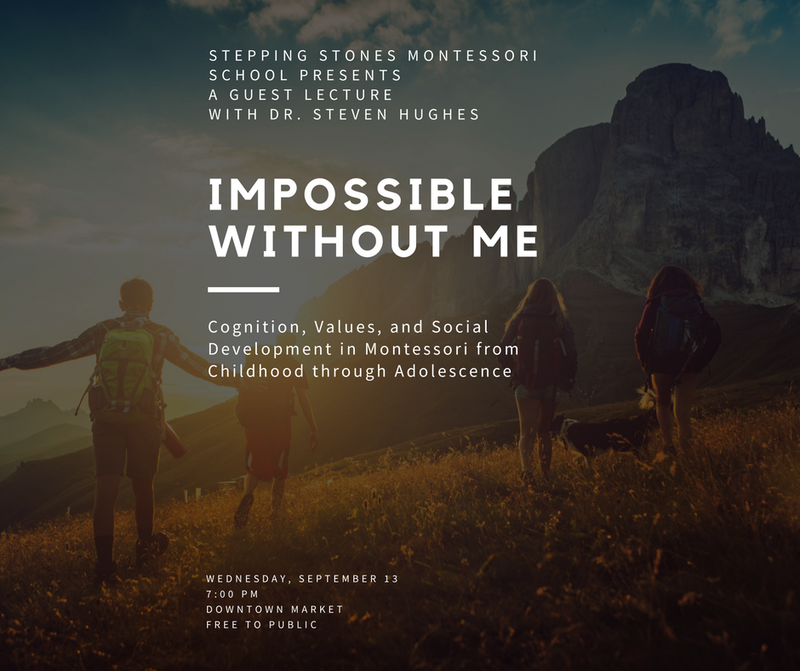 Impossible Without Me: Values, Morality, and Social Development in a Montessori Community Modern science now affirms what Maria Montessori showed us 100 years ago. The conditions necessary to meet the challenges of a growing mind (and body) must be distinctly different across each plane of development. In the first plane, the child constructs an advanced "central processor" through distinctly cognitive-developmental experiences. During the second plane, the child's mental capabilities are refined as he or she engages in further self-guided discovery of the wider world. The Montessori child entering an adolescent community has an entirely new set of emotional, social (and continuing cognitive!) tasks ahead. This presentation reviews the developmental tasks of children and adolescents, and shows how the Montessori adolescent community both continues and expands the work done in earlier planes, as the students refine core values and their unique contributions to the world. Featuring Steven Hughes, PhD, ABPdN. Dr. Hughes is a pediatric neuropsychologist and director of The Center for Research on Developmental Education, based in St. Paul, Minnesota. He is an advocate for activity-based, developmental education, and is a frequent speaker and consultant to education organizations around the world. Dr. Hughes is past president of the American Academy of Pediatric Neuropsychology. He also serves as Chair of the Association Montessori Internationale Global Research Committee and is a member of the American Montessori Society Research Committee.